investing in and rebuilding distressed troubled companies. Create Value. John M. Collard is a nationally recognized turnaround professional, interim executive manager, interim CEO, private equity advisor, equity capital investor, and outside director; is a frequent speaker, often quoted by the press, and has authored many articles on the topics; Is Your Company In Trouble?, Early Warning Signs Pinpoint Business Trouble, Change Leadership Style to Affect a Turnaround, Turnaround Mgt and Equity Investing Techniques, Working With Turnaround Pros to Preserve Value, Incentive-Based Mgt, Value Creation Model, Building Value, Asset and Investment Recovery, Phases and Actions in the Turnaround Process, Investing in and Rebuilding Underperforming Distressed Troubled Companies, A Rx to Renewed Health and Asset Recovery, Benefits of Interim Managers, Benefits of Outside Directors & Advisors, Raising Money In Tough Times, Sell In The Way They Want To Be Sold To, Exit Strategies For Practice Owners, and Liquidate. Start Over. The Turnaround Management Journal is a publication of the Turnaround Management Society for business leaders and international professionals. Turnaround management expert John M. Collard presennts an approach to raising capital during tough economic times. You need a Three Step Approach utilizing the Internet, an Overview, Executive Summary, Operating Plan, and a focused list of investors. Be the "good deal" and you will raise money. The time has come to liquidate your company. How can you start over? 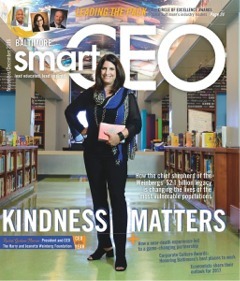 Smart CEO Magazine is for business leaders and professionals. Turnaround management expert John M. Collard presents an approach to liquidation as a strategy to starting over. 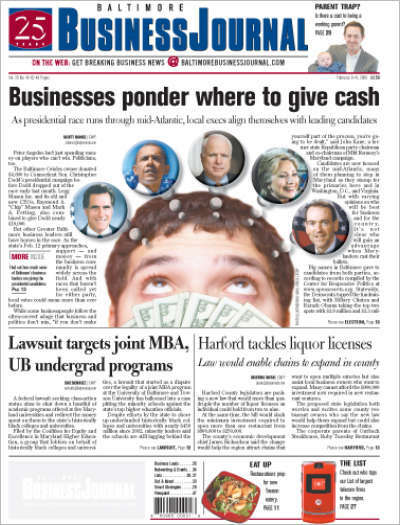 The Baltimore Business Journal is a publication of American Business Journals for business leaders and professionals. 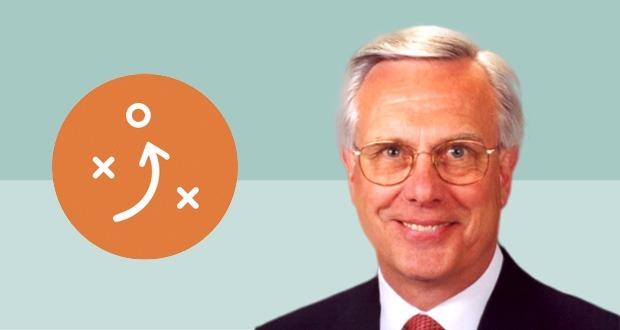 Turnaround management expert John Collard discusses adding outside directors to a private company's board to offer valuable guidance, contacts, and benefits. A compilation of articles by John Collard, Chairman, Strategic Management Partners, Inc. published in various industry publications and journals. A Column: a compilation of articles by John Collard, Chairman, Strategic Management Partners, Inc. published online and in various Smart CEO Magazine publications, including Baltimore, Washington, Philadelphia, and New York. Raising Money In Tough Times. Private equity funds use a "funnel approach" viewing 1,000 deals to find 100 worth a deeper review, which result in one or two worth investment. Present the deal to investors and what is in it for them. Smart CEO Magazine is for business leaders and professionals. Turnaround management expert John M. Collard presents an approach to raising money in tough times. Make your company the good deal and you will raise capital. 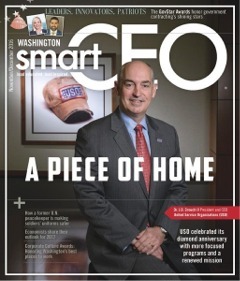 Smart CEO Magazine is for for business leaders and professionals. Turnaround management expert John M. Collard presents an approach to liquidation as a strategy to starting over. Liquidation can either be a method to withdraw from a company or a catalyst to start over. Small business owners have alternatives. Mergers & Acquisitions, The Dealmaker's Journal, SourceMedia, Inc.
Executing a turnaround is no easy task. John M. Collard of Strategic Management Partners, Inc. spells out the guidelines to get an under-performing company up to speed. As important to cash infusion for working capital needs is to make certain that cash won't be diverted to past commitments. The newsletter for management buyouts, leveraged acquisitions and special situations. Investing in underperforming companies can be profitable if you know what to look for and how to execute. The fundamental premise is to get a company that is turnable, know how to fix the problems, be able to not spend money on past sins, obtain at the right price, manage the turnaround and sell at increased value. 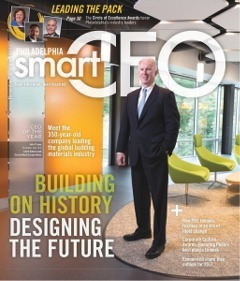 Smart CEO Magazine is for business leaders and professionals. Turnaround management expert John M. Collard presents an approach to rebuilding a company to prepare it for sale. A methodology for building enterprises in which future buyers want to invest. When a turnaround is complete and the company is ready for the next tranche to fund growth, those who have provided the investment have a point of exit. Outlines a process for building value into companies and the role of a turnaround specialist in asset recovery and valuation preservation for troubled companies. How to invest in underperforming companies. Build enterprises that buyers want to invest in. Create a value equation to build worth. Turnaround manager and distressed investor, John Collard, describes the process. American City Business Journals syndicated this article to 42 cities nationwide. 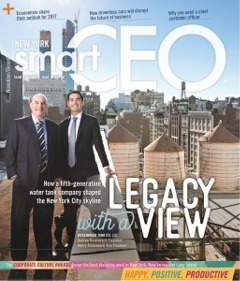 Smart CEO Magazine is for business leaders and professionals. Turnaround management expert John M. Collard presents an approach to outside directors saving troubled companies. Hire that outside director. With a board of directors, your company immediately gains legitimacy, and a panel with expertise that you probably don't have in-house. Outside directors bring an independent perspective, strategic thinking & planning, experience & objectivity, contacts, capital infusion, and transactions. 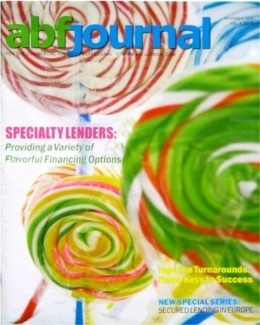 The ABF Journal is a publication of Xander Media Group for the commercial finance professional. 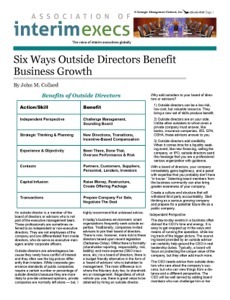 Turnaround management expert John Collard points out that adding outside directors to a private company's board can generate six key advantages -- independent perspective, strategic thinking and planning, experience and objectivity, contacts, capital infusion, and deals. Discusses the actions and skillsets brought by outside directors and the benefits of each. Prepare for that future liquidity event. The best time to sell a company is when a buyer wants to buy and has cash, which could come when you don't expect it. 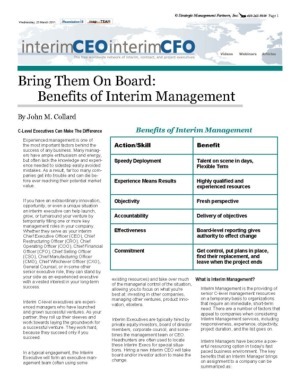 The InterimExecs Network Journal is a publication of the Association of Interim Executives. 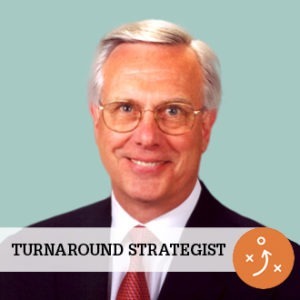 Turnaround management expert John Collard discusses that adding outside directors to a private company's board of directors or advisors can generate key advantages -- independent perspective, strategic thinking and planning, experience and objectivity, contacts, capital infusion, and deals. A primer on how to build a value creation model aimed at achieving the kind of steady growth that attracts investors and future buyers of the business itself. The key business attributes and how to create the most value in them are spelled out. 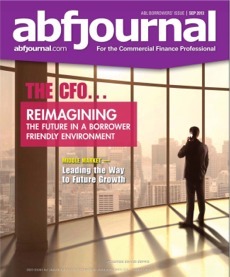 The magazine for the commercial finance professional. Determining Value is more art form than science. True value can only be established at the time of a transaction, where a willing buyer tenders payment and a willing seller accepts it in exchange. Valuing a company is the easy part; creating that value in the first place so you can measure it is a more formidable task. A Value Creation Model can build worth into your company. Covering Key Issues and Events in Distressed Situations. One of a series of opinion columns by leading bankruptcy participants. Professionals guiding investors or looking to invest in underperforming companies themselves should be aware of what to look for and how to execute. The first special publication devoted to Mergers & Acquisitions, BBJ set out to go behind the deals that had the business community buzzing. BBJ solicited articles from the personalities behind the art of the deal in Greater Baltimore. John M. Collard, Chairman, Strategic Management Partners, Inc. writes "Corporate renewal is a process. It involves using a set of skills to rejuvenate a company to the state where it can be sold." 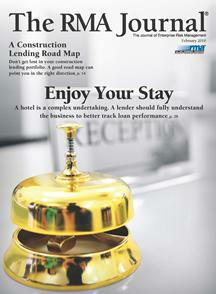 The magazine for the commercial finance professional. Investing in underperformers has become a more acceptable practice. It can be very profitable if you know what to look for, how to execute, as many buyout firms are finding out. While simply stated, yet tricky to implement, there is a rewarding process to provide results. National Association of Corporate Directors. Crisis and transition demand change -- the first true step toward recovery. Leadership styles and methods change when in a crisis or turnaround situation. Here we contrast the styles. "When it rains, it pours" may be cliched, but when applied to a troubled company, one can be sure that 'Murphy is shaking the clouds.' Leadership styles differ between stable growing companies and those that are in trouble; look at contrasting styles. 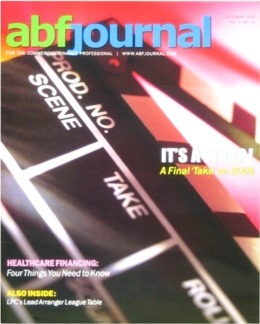 The ABF Journal is a publication of Xander Media Group. For the commercial finance professional. From speedy deployment, to highly qualified resources, to delivery of objectives, interim managers can be the effective answer. Phases and Actions to Accelerate the Recovery Process. Risk Management Association, serving the Financial Services and Commercial Bankers Industry. There is a complex process to turn around troubled companies, which when followed, can produce results for all stakeholders and returns for investors. Directorship is published by the NACD and each monthly edition is received by over 8,000 directors of public and privately held companies. Founded in 1977, the role of this association is to enhance the governance and performance of business entities. The process of turning around a troubled entity is complex. This is made more difficult and compounded by the multiple constituencies involved, all of whom have different agendas. Lenders want a return of their invested capital, preferably with interest. Creditors want their money in exchange for goods and services. Original investors want and hope for recovery of their capital. While distressed investors want to buy in at 20 cents on the dollar, then turn a profit; some by trading the credit, others by turning the business positive then selling. Owners want to avoid guarantees and recoup some of their equity. Employees want their jobs and benefits. Directors want to avoid risk and litigation. Other stakeholders want their interests protected. These desires can often be at odds with other parties and hamper the effort. We address the turnaround process as if all constituents are in favor of proceeding through to the end, when a restructured entity emerges. The Risk Management Association, formerly Robert Morris Associates; the official association representing the commercial bankers across the United States. Working with turnaround professionals to improve and preserve value. An overview of the process provides food for thought. The magazine for the commercial finance professional. Working with the turnaround professional discusses when a specialist is needed, how to diagnose company trouble, how to hire and select a turnaround specialist, how the specialist operates and forges an agreement, and sheds light on why some businesses are leary of using these specialists. The turnaround specialist should work himself out of a job to be most effective. A company's financial problems often result from mismanagement. When existing management who lead the company into trouble, doesn't have the skills to deal with crisis, a turnaround specialist may be needed. John M. Collard, Chairman, Strategic Management Partners, Inc. writes "The specialist offers a new set of eyes, skills and understanding of troubled situations to independently evaluate a company's circumstances. Turnaround Specialists add value." American City Business Journals syndicated this article to 42 cities nationwide. The Overview of the Profession section describes Working With Turnaround Professionals. This section was written by John M. Collard. While used 1992 - 1996, this section has been condensed in later versions, many excerpts still are used. Excerpts are also being used as part of the Training Course offered by TMA to teach Loan Officers the value of working with turnaround professionals. Mr. Collard is an authorized instructor. Turnaround Pros: Who Are These Guys? An interview with John M. Collard on what to expect when working with turnaround professionals. A quarterly publication from Warren, Gorham & Lamont dedicated to advancing the management of, and discussing the issues related to corporate working capital. This is a two-part series that describes in detail Working With Turnaround Professionals, the benefits and the process. When the reality that "you are the business" sets in, you face a delemma when you want to pack it in and leave. You can sell your single-shingle practice, build a formidable going concern through merger/acquisition to attract attention from private equity or special interest buyers or expand into developing a medical facility to leverage a real estate investment. National Association of Corporate Directors. Defense contractors can convert to commercial and international markets, but doing business is not the same the world over. Defense Conversion, Myth or Mystery? A magazine for the engineering management professional. Transition between markets, from and to commercial, international and federal, is complex business and must be handled by professionals who have been there before. Turnaround Corner. Inside the Country's Top Turnaround Firms. John Collard On: How To Restructure A Defense Contractor. From defense contractor and part of 'Star Wars' to commercial integrator working to improve the environment. A case study yielding six-fold growth. If You Want Results, Show Them The Money! Official Publication of the Fabricators & Manufacturers Association, International. Provides a methodology to incentivize emploees based upon rewarding teamwork that produces results. The ultimate goal of the methodology is to improve the equity value of the company. Incentives are based 50% on what the employees are directly responsible for, 30% on how their performance other key elements of the business, and 20% on their ability to improve equity value or other elements within their control. A methodology to improve the equity value of the company. Incentives are based 50% on what the employees are directly responsible for, 30% on how their performance other key elements of the business, and 20% on their ability to improve equity value or other elements within their control. A quarterly publication of National Technology Transfer Center, formerly the Ballistic Missile Defense Organization. The publication links American Businesses with Ballistic Missile Defense Technology. Collard writes on the topic of preparing a mission statement to run a company to guide those who are experts at mission statements to run Missile Defense. Mission Possible: What Your Mission Statement Should Say. Developing strategic direction and a mission statement by using a template with six key elements, and the importance of each. The Mission Statement should properly reflect company direction and solicite support. There are only two ways to grow revenue. 1) Sell new products and services to existing customers. 2) Sell existing products and services to new customers. Most importantly is to sell to your customers in the way that they want to be sold to. When a Business Stops Growing. It Starts Dying. Too often, companies die unnecessarily because most business leaders haven't learned to recognize the symptoms of oncoming illness in their business. Leadership hasn't had to deal with it in the past and is ill equipped when trouble sets in. • The obvious signs of business trouble are rarely its root causes. The astute CEO recognizes his infallibility and has the foresight to ask for help - before serious trouble sets in. • If you can answer yes to some of these questions, it is time to take decisive action. • John M. Collard of Strategic Management Partners, Inc. spells out some early warning signs of trouble. The Journal of Corporate Governance, for the directors of Fortune 1000 companies. There are early warning signs to gauge corporate health, management effectiveness, and predict when a company is headed for trouble. Strategies and Techniques for Venture Investing. Published Quarterly by the Institutional Investor, Inc. In looking at portfolio companies, John Collard notes that differences in leadership style can be an early warning sign of impending trouble. In addition to leadership style, he notes 10 other common signs of difficulty. Here are some early-warning signs that pinpoint business troubles. Leadership Strategies in Accounting, Finance, and International Management. Published by the Institute of Management Accountants. There are early warning signs that indicate when a company is heading for trouble if you look for them. While they are not always obvious they are there. Buyouts Magazine is the newsletter for management buyouts, leveraged acquisitions and special situations. A Symposium Special Panel was moderated by John M. Collard, Chairman, Strategic Management Partners, Inc. This article is excerted with permission from the panel discussion. Official Publication of the Turnaround Management Association, the premier professional community dedicated to corporate renewal and turnaround management. Excerpted with permission from "Buying and Managing Distressed Companies," a panel at Thomson Venture Economics' Buyouts Symposium. The panel discussion was moderated by John M. Collard, chairman of Strategic Management Partners, Inc. Published by the Turnaround Management Association featuring pertinent articles to help turnaround practitioners, consultants, private equity investors, bankers, lenders, and lawyers. Authors include: Tom Peters, Abraham Zaleznik, Rosemary Bowes, Phyllis Gillis, Jack Butler, Richard Walters, John Collard and others. A course developed for World Bank to teach the Privatization Agency, Bankruptcy Agency officials, and industry leaders the way turnaround management and investing is carried on in the western world. A 'train the trainers' course now being delivered throughout Russia, the former USSR countries, and Central Europe. Select writing credits include Buyouts Magazine, Director’s Monthly, Directorship, The Corporate Board, Private Company Director, Director's & Boards, Washington & Baltimore Smart CEO Magazine, InterimCEO News, InterimExecs News, Mergers & Acquisitions, Venture Capital Guide, The Journal of Private Equity, Shareholder Value Magazine, Valuation Issues Magazine, Strategic Finance Magazine, Financial Executive Magazine, Institutional Investor, Commercial Law Bulletin, New Jersey Lawyer, Successful Restructurings, Dow Jones Bankruptcy Review, ABF Journal, Printing Impressions Magazine, Print Profit Magazine, Military Engineer, BMDO Update, Manage Magazine, Contract Management Magazine, The Fabricator, Secured Lender, Lending and Risk Management News, RMA Journal, Commercial Loan Monitor, Journal of Working Capital Management, Journal of Business Strategy, Journal of Corporate Renewal, Turnaround Management Journal, among others. In addition, we have been quoted or featured in the Wall Street Journal, Washington Post, Baltimore Magazine, Baltimore Sun, Warfield’s Business Record, The Daily Record, Washington and Baltimore Business Journals, Gazette of Politics & Business, Success Magazine, Bloomberg Magazine, Europe Magazine, Bankruptcy Court Decisions, International Treasurer, M & A Magazine, Turnaround & Workouts Magazine, ABF Journal, President&CEO, and others. Strategic Management Partners has substantial experience advising corporations and individuals on the strategic and mechanical issues of corporate development and governance, operating management and turnarounds for asset recovery, and investing in and rebuilding underperforming companies. Our principal has over 35 years experience in P/L Management, Strategic Planning and Repositioning, M & A for Strategic Advantage, Finance, Investing, Raising Funds, Sales/Business Development, Building Selling and Marketing Teams, and Operational Auditing = In Public & Private companies = In healthy and crisis situations. We work with and support the equity capital community to provide assessment studies to determine the situation, planning and strategy development to direct the company, crisis management to oversee that assets are not squandered away, workout teams that recover assets, and board level oversight to keep the client headed in the right direction.